CIKI: So i found this coffee shop last week. The curry laksa they sell there is just the way I like my curry laksa. so thick u could stand your spoon in it! i am talking santan overload. for just rm3.50 they sure are generous with their char siew, taufu-pok, sea-hum and chicken. The finishing touches would be the mint leaves and lime which add kick to the bowl of noodles. 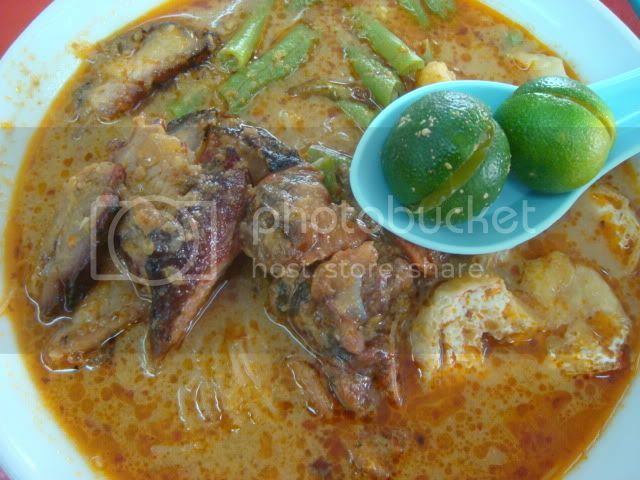 be warned that while delicious, this is not the sort of Laksa you can eat more than once a week… (ok twice). Swimming in oil, but then again, most things tasty normally are. CUMI: Since i haven’t been here, Ciki brought me to this kopitiam because she claimed this curry laksa was one of the best in town. Herald as one of the pickiest eater in klang valley, i was the last mohican(her friends + colleagues gave thumbs up already) to test out this santan laden broth. So we dropped 1pm on a fine sunday afternoon and found its ‘chiu pai’ dish was already sold out. Aiya! but just before we could express our disappointment visually, the uncle(good businessman) was quick to suggest a ‘white wantan mee’ dish (literally translated from chinese). 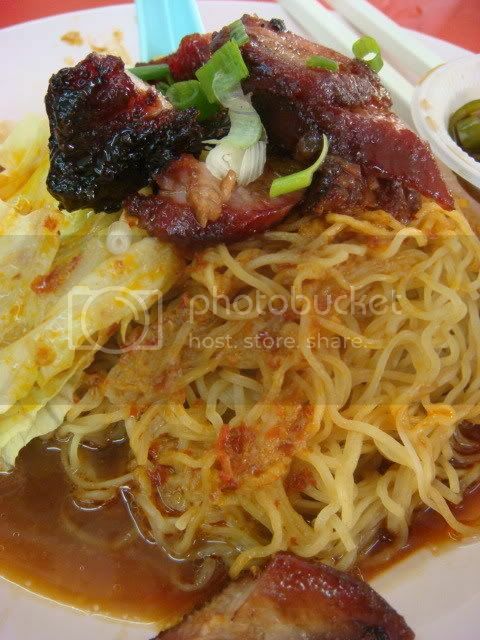 – it was basically bbq pork wantan mee drenched with a couple of spoons of rich creamy curry sauce(leftovers?) then served with the wantan soup. Judgement time…. it was pretty damn good! fresh cooked ‘home made’ wantan noodles, succulent bbq pork, santan squeezed from fresh dessicated coconut and plump wantans. Since i didnt get to try the cook’s piece de resistance (curry laksa), i will be back for another judgement day! Location : Enter Tropicana just before the toll. At the traffic light for Mutiara Service Apartments turn left. Head towards Mutiara Serv Apt, Sunway Mas is just next to it. 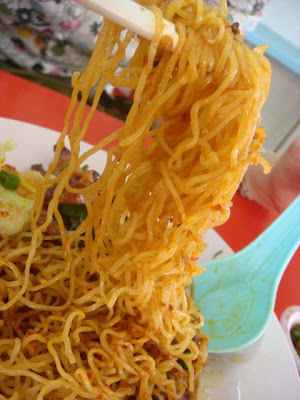 Next articleIn search of red wine mee suah ! But is it open at nite .. hmm, I hope so, but I don’t think so! Omigosh, I like the curry the way you do too !!! Thick and spicy. Yum yum … got to try it tomorrow…….. I tried it … We loved it!! Just Facebooked the piccies … and will Blog the piccies later today too! THANX for the tip … Hmmm, just had to do a shootout between SFS and FSF!